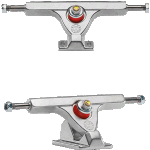 Basement Skate stock Australia's best selection of longboard trucks for cruising, carving, dancing, freeriding and downhill. 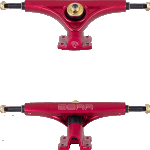 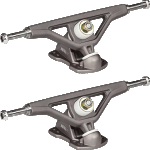 Tested and approved by some of the worlds best riders, so you know your getting the best quality trucks on the market. 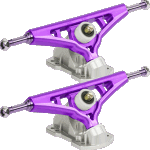 Whether your looking for trucks to customise your cruiser, or planning on setting a new land speed record, we stock what you need from brands like Caliber, Bear, Paris, Gullwing, Aera, Ronin, Atlas, Luxe, Rogue, Fang, Sabre, Standard and Arsenal.